Saturna Island is located in the Southern Gulf Islands south of Mayne Island and south-east of Pender Island. Saturna Island is one of the most southern Gulf Islands in British Columbia before the border with Washington State and the San Juan Islands. The island, because of its location in the Strait of Georgia, sits in a rain shadow before the Lower Mainland from Vancouver Island and experiences hot, dry weather, sometimes described as a 'Mediterranean' climate. To get here you either have to arrive by BC Ferries scheduled sailing, a float plane or pleasure craft. BC Ferries has a daily schedule that leaves from Tsawwassen Terminal south of Richmond and through the other Southern Gulf Islands via Swartz Bay Terminal on Vancouver Island into Lyall Harbour on Saturna Island. 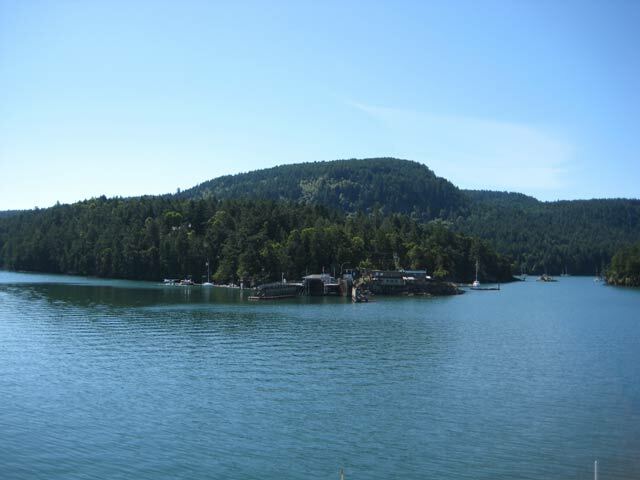 Once off the ferry at Lyall Harbour, you are within walking distance to most of the conveniences and services found on Saturna Island. 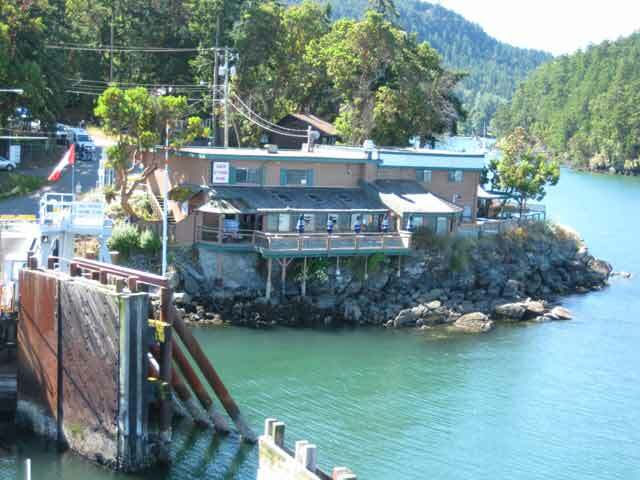 Right next to the ferry terminal and public wharf in Lyall Harbour is the Saturna Point Store where you can find fuel and the local pub called Saturna Point Lighthouse Pub. There is also the general store on Saturna Island if you need any items when visiting. The Saturna General Store has a wide variety including fresh-baked goods from Moulin Vert Bakery, coffee, a liquor outlet, a unique selection of ethnic foods plus a fresh produce section and some hardware. The store, open daily, is located at 101 Narvaez Bay Road. Telephone:-(250) 539-2936. Saturna Island has spectacular outdoor areas as close to two-thirds of Saturna Island is protected in the Gulf Islands National Park Reserve with many of the areas accessible to the general public by use of walking trails. 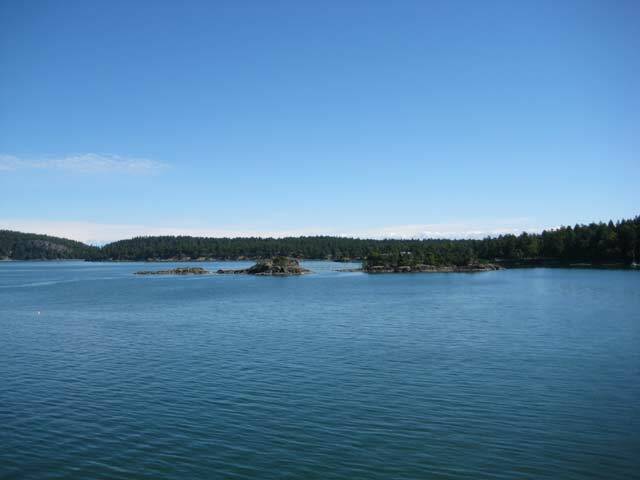 For experiencing the ocean waterfront, try going to the very south-east tip of Saturna Island. Here you can find a favourite called East Point with swimming at Shell Beach, wildlife viewing and a great view of Tumbo Island. Saturna Island also has great hikes throughout the island - some starting right from behind the Saturna General Store in Lyall Harbour. One with a view is the trail up Mount Warburton Pike and Brown Ridge. The other goes to Saturna Beach and the local winery. Other trails include starting at the end of Narvaez Bay Road and walking into Narvaez Bay for a beautiful southerly view. If you would like to camp out there are 7 wilderness walk-in campsites available at Narvaez Bay 1.7 km (1 mile) from the trailhead. With the warm dry climate that Saturna Island experiences, a winery has been established at Saturna Island Vineyards. Part of the Southern Gulf Island Wine Tour, the Saturna Island Vineyards features a lovely Pinot Noir wine. A good time to visit is during the annual Saturna Island Lamb Barbeque which takes place on Canada Day, July 1st, since 1950. For pit-style barbeque fanatics and people who enjoy lamb, this festival at Winter Cove Park will leave your mouth watering for a second helping. When you do visit Saturna Island, try taking your bike aboard BC Ferries instead of a vehicle. You can park your vehicle at Swartz Bay or Tsawwassen Ferry Terminals and the island's rural roads are perfect for a very quiet and peaceful ride and the island can easily be cycled in a day.